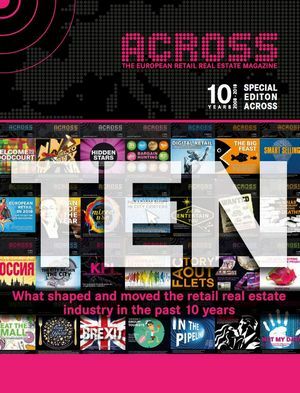 What shaped and moved the retail real estate industry in the past 10 years. When ACROSS was launched in 2008, the global economy was on its way down. Quite a few decision makers – even from within the European shopping center industry – desperately tried to turn a blind eye to this fact. That was not much a surprise, especially since Central and Eastern Europe have become the lands of milk and honey for them in the years leading up to the crisis. This region, where retail areas were in dire need of refurbishment after the fall of the Iron Curtain, provided paradisiac conditions for developers. There was hardly a week without a center opening. Construction works started up everywhere from Slovakia to the Ukraine. Even projects that only existed on paper found their buyers. After all, there was a lot of money in the market at that time and the pressure to invest was enormous. So, what happened in the industry during the past decade and why? Financing oftentimes appeared to be impossible after the beginning of the economic crisis. Therefore, several national and international developers stopped or delayed their projects. Even major players could not escape this misery. Spain, Portugal (see our interview with Francisco Cavaleiro de Ferreira, Managing Director of Multi in Iberia) and–as mentioned before–Central and Eastern Europe were hit particularly hard. As a result, properties were severely devaluated. As Müller already mentioned, the tide turned again. It had to. In retrospect, one could call it a “cleansing process”. Since it were the serious and professional developers who got through this crisis and established themselves on the market. The other players disappeared into oblivion. Retail properties have become good investment opportunities in the aftermath of the crisis because they generate a consistent cashflow. Additionally, private consumption did not decrease as much as anticipated. And so, business began to rev up again after taking a breather. However, mega-projects were a rare occurrence in the beginning. Developers focused on smaller shopping centers and discovered their love for secondary cities. Whereas department stores were–allegedly–drawing their final breath, retail parks started to take off. This retail format was new in Central and Eastern Europe at that time and met the demands in these markets. Retail parks became popular investment projects. Cost-efficient and flexible construction, moderate leasing rates for retailers and acceptable cashflow returns were and still are key qualities of this format. Management of special properties also has also become increasingly professional. The foundation of the MEC Metro-ECE Centermanagement GmbH caused quite a stir in the industry in 2011, an independent joint venture of the worldwide operating Metro and ECE, the European market-leader in the shopping center sector. Today, MEC Metro-ECE handles management including operations as well as leasing and marketing for more than 55 retail parks. But there is also another retail format that started to rise significantly in the past ten years: the outlet center. Factory outlet centers gradually got rid of their “factory image” and now generate full-fledged customer rushes with top-quality and affordable products (see our expert article by Daniel Losantos, CEO of Neinver). The number of European locations increased to 175 in the last twelve months alone, according to a new market study of the ecostra research institute in Wiesbaden. Another 52 locations are planned for the coming year. Great Britain has the highest density of outlet centers with a total of 35. New centers are currently being planned at seven further locations. Only Germany has plans for even more outlet centers–with a total of ten new centers. But the pipeline is also pretty full for 2019 in France (7), Italy (4), Poland (4), the Netherlands (4), Spain (3), Russia (3), and the Czech Republic (3). Finland is planning two new projects. So far, there are no outlet centers at all in this Scandinavian country. Which outlet center at the 175 European locations stands out? Henrik Madsen, industry expert and Managing Director Northern Europe at McArthurGlen, says, “I have to choose our Noventa di Piave center which opened in 2008. It set a blueprint for the successful development of designer outlets in Europe, becoming a major driver of tourism to Venice and the surrounding region. Noventa introduced a new perspective of going to the city for a shopping experience”. Now, let’s return to classic malls. Joanna Fisher, Managing Director Center Management at ECE, sees two trends that characterized this retail format since 2008: “In my opinion, the two most important developments in the shopping center industry in the last ten years are the industry’s transition to a mature industry in most markets, where modernization clearly dominates and only few new developments occur. There may have been several new openings at attractive locations but comprehensive refurbishment is the determining aspect in the development sector.” The second crucial development is, according to Fisher, the breakthrough of digitalization and its consequences for the industry–as well as the wide range of answers that were found and realized or are to be realized, respectively. This development has changed the business significantly and today people make sure to integrate certain aspects into centers, such as individual service offers for customers, attractive environments, a wide range of culinary options as well as the integration of digital offers. This brings us to the ultimate keyword: digitalization. New media increasingly influence communication behavior, socialization processes, language culture, and of course business processes and economic agendas. At the same time, people’s private and work life has changed drastically. This had of course a massive impact on the industry. Thomas Mark, President of the MK Illumination Group, wholeheartedly agrees with this assessment and names the consequences for the industry: “Without a doubt, the most significant development was–in my opinion–the increased speed of the Internet and the advancement of Internet-enabled mobile devices. This technological progress has led to today’s consumers being better informed, constantly online, as well as communicating and purchasing through new channels. 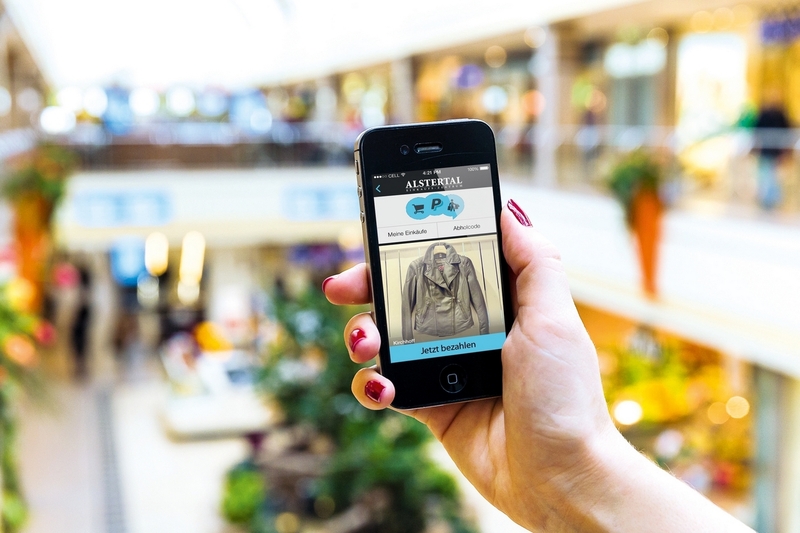 As a result, the shopping center industry has vastly increased the quality of its visitor experience. Previously, it was all about ‚turnover per square meter’. Today, it’s all about ‘experience per square meter’”. Today’s customers demand experiences. This is hardly surprising, after all, it is very clear that their behavior and approach to shopping centers has changed. A few years ago, they were happy to get supplies for their daily needs–to get in the mall and leave just as quickly as soon as they are done shopping. Now, they want to be lured by emotions. 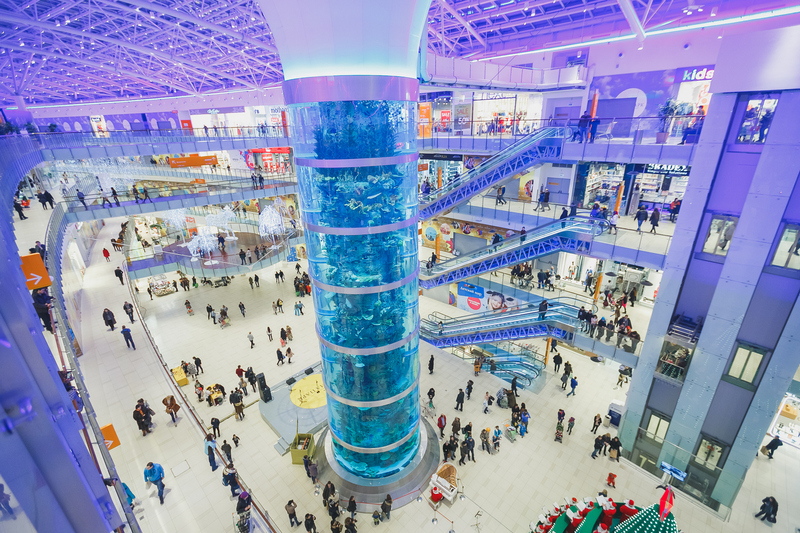 Hohlmann aptly describes a further strong trend that has established itself in the shopping center industry over the last years: inner-city malls. They are close to their customers, open their architecture toward the outside and boast urban, trendy shop concepts–including food experiences. From Asia, green food, steaks, burgers, vegan cuisine to Tex-Mex–innovative gastronomy concepts have arrived in the shopping center industry. Fast food & Co may have played a modest role in the tenant mix of the past (to put it mildly), but today center managers utilize hip gastronomy formats to appeal to new customer tiers as well as to express the identity and uniqueness of a mall. In new projects and completed modernizations the gastronomy share in the tenant mix oftentimes surpasses the ten-percent mark. 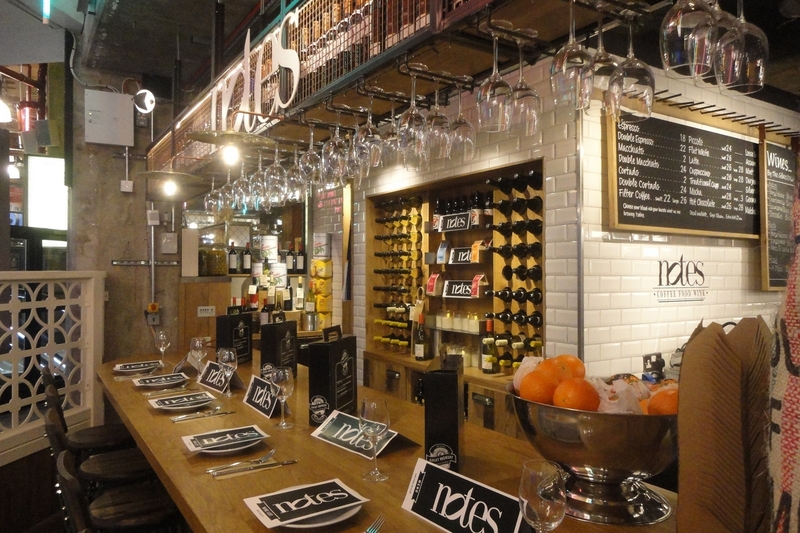 One of the pleasant side effects is that the rather technical foodcourts of the past have swiftly become epicurean market places of the present. Even haute cuisine and award-winning restaurants are now opening new places in shopping centers–this was unthinkable a few years ago. Shoppers, however, seem to have developed a taste for it. Sustainability–as flexible as this term may be–has become a key issue for European retail properties of the future. The same goes for the increasingly controversial issue of security. One does not even have to assume the worst, but, for example, that employees in stores may have to face criminal activities at times. If they know how to handle that, they can react faster and diffuse these situations. What will the next decade hold in store?